Visit Amazon.com's Michael Kleiner Page and shop for all Michael Kleiner books. 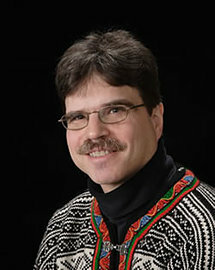 Check out pictures, bibliography, and biography of Michael Kleiner. See what Michael Kleiner is learning on Udemy. Michael Kleiner spent a year in Norway with his family at age 11. He attended a Norwegian school. Through that year and subsequent trips as an adult, he developed an affinity for the people, culture and country although he is not of Norwegian descent. He found a second family and home and a country that is more than cold weather. Michael Kleiner Public Relations & Web Design now offering mobile apps, providing a one-stop shop for your business image. Sites now designed in. AbeBooks.com: Beyond the Cold: just about like new; no marks on text. Barnes & Noble - Michael Kleiner - Save with New Lower Prices on Millions of Books. FREE Shipping on $25 orders! To obtain clients you need to get known. “Making the Unknown Known” has been the story/credo of Michael Kleiner Public Relations and Web Design's career.